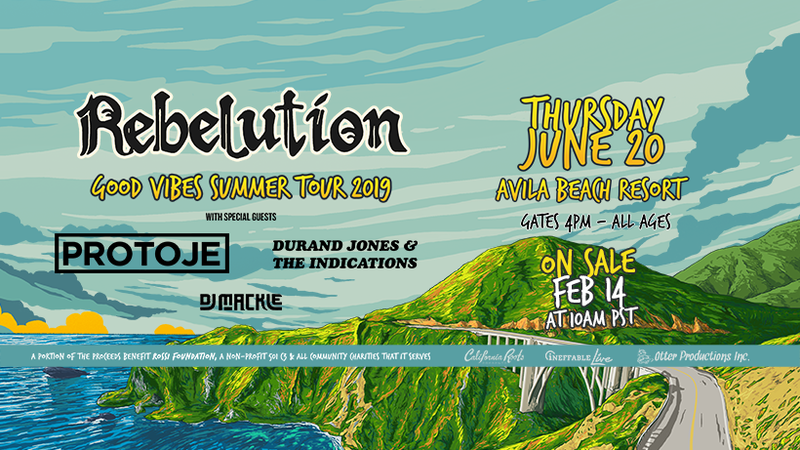 REBELUTION Good Vibes Summer Tour 2019 - Otter Productions Inc. | Otter Productions Inc. REBELUTION Good Vibes Summer Tour 2019 - Otter Productions Inc.
REBELUTION returns to Avila on June 20th 2019! General Admission and Beach Club Balcony tickets are on sale NOW! Beach Club Balcony This premiere ticket features special access to the premiere Beach Club Balcony viewing deck, a private bar, and private restrooms. 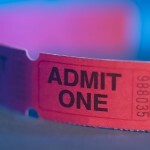 Children 10 and under are free when accompanied by a paid adult in General Admission Lawn Standing/Seating only, one child per one paid adult. A PORTION OF TICKET PROCEEDS BENEFIT THE ROSSI FOUNDATION, A NON PROFIT 501c3, AND ALL COMMUNITY CHARITIES THAT IT SERVES. This show is General Admission Lawn Standing/Seating. Okay to bring blankets and low-backed chairs (less than 2 feet high) into General Admission area. Blankets and Low-Backed Chairs (under 2 feet) will be allowed in G/A only. No High-Backed Chairs will be allowed. No umbrellas. No one will be allowed into the venue prior to doors. Early comers will wait in line. First come first served. No in and outs. That means, once you’re in the venue, you can’t leave and return again for free. If you need anything else during the day, bring it into the venue as long as it does not go against the prohibited items. No pets. Please do not bring your pet and leave them in the car. ♦ DIRECTIONS ♦ Directions to Avila Beach Resort – Highway 101 to Avila Beach (just north of Pismo Beach, just south of San Luis Obispo). Take the Avila Beach Drive exit towards the ocean. Travel 2 ½ miles and you’ll see the Resort on your right. ♦ PARKING ♦ A $3 Parking Fee is INCLUDED in your ticket for parking on the 10th Fairway. No tailgating allowed. Any attendees consuming personal alcoholic beverages in the Parking Areas will not be allowed into the venue. IMPORTANT: ALL TICKET HOLDERS MUST PARK IN CONCERT PARKING LOT. ♦ FOOD/BEVERAGE ♦ There will be food and beverage for sale at the venue. No outside food or beverages will be allowed in the venue. There will be water available for free and bottled water available for purchase. No ice chests, picnic baskets, etc. Email for further information: info@otterproductionsinc.com.